Under Mr. Bareket’s strategic leadership Netformx has become the leader in enterprise sales enablement and profit acceleration platforms. Netformx enables IT solution providers to design and sell winning and implementable multivendor solutions for Enterprise customers, while operating their businesses profitably. The Netformx Digital Ecosystem as a Service (ESaaS) accelerates solution provider profits by providing powerful business intelligence, actionable insights, collaboration, and automation that connect people, information, and processes. The result is increased competitiveness and productivity across the sales lifecycle. 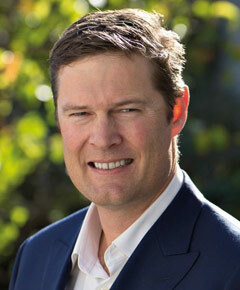 Stuart Macintyre is the Champion of the Optus Business “Technology Value Proposition' from the Smart Network to their Digital Applications & Services across Collaboration, Cyber, Cloud, Safe and Smart Cities and IOT, designing solutions for Corporate, Government and Enterprise Customers. With 16 years in telecoms, he leads a team of Strategic, Enterprise and Solution Architects enabling Digital Customer, Digital Workplace and Digital Employee solutions for their customers, underpinned by the Optus Smart Network, leveraging the latest Network and ICT technologies. Digital transformation and its associated technological enablers are creating immense choice and flexibility for IT solutions customers. Here, Ittai Bareket, the chief executive of Netformx, and Stuart Macintyre, the chief technology officer of Optus Business Technology, explain how IT solutions providers are harnessing the possibilities and accelerating their organizations’ paths to profit while simultaneously making sure they can deliver accurately priced solutions to enterprises that meet and exceed their transformation goals. Q: Ittai, who are your customers and what is the Netformx value proposition? A: Ittai Bareket: Netformx is a community where IT solutions providers – those that design and propose solutions to enterprise customers – come to accelerate and enhance their sales enablement and profitability. We target sales teams to provide end-to-end profit acceleration and to enable our customer to quote faster and more profitably in this ever-changing world. We provide powerful business intelligence, actionable insights, collaboration and automation that connect people, processes and information so enterprise sales teams can compete effectively and increase productivity across the sales lifecycle. Q: Stuart, are new technologies and digital transformations causing disruptions in your sales process? A: Stuart Macintyre: They’re creating opportunities for us to more fully integrate with our partners and they’re enabling us to deliver better customer outcomes. The digital enablement across our processes is giving us more repeatability and agility and, because the solution lives in the cloud, it’s flexible. These processes are changing the way we sell our solutions because our designers and architects are now able to support themselves. The latest architectures are available in the cloud and always up-to-date which gives them greater agility so they can focus more on developing value-added services for customers. It takes out the lower order tasks that people had to handle on the customer journey and means there’s more time for softer conversations with customers and looking at those new opportunities. Q: Ittai, with all the complexities of IT solution selling, how can solution providers overcome those challenges and not only keep their heads above water but become sales leaders? A: Ittai Bareket: I think the sales cycle is a complex one for them so they need to make sure they understand the outcomes their end customers desire. They need to respond quickly and provide multi-faceted responses to customers such as scenarios that detail what happens on-premise or in the cloud, or why customers should go to a subscription model when software can still be bought. Options need to be provided to the end customer. Beyond that, as lifecycles end and options present themselves, it’s no longer a case of hardware replacement. Instead, the question is why did you have this equipment then and what do you want to do now? The sales conversation moves from refreshing or replacement to migration to address the new business models’ enterprises are engaging in. Q: Stuart, what steps is Optus taking to automate the sales process and improve productivity? 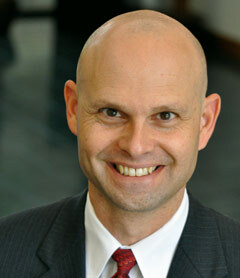 A: Stuart Macintyre: Digitisation in general is enabling us to collaborate more easily. We have a national pre-sales team and the digital platform means we can harmonize across Australia. We’re doing that not only by using Netformx but by rolling out iPads and iPhones not just to sales teams but to pre-sales teams. We’ve created a mobile first ecosystem with tools like Netformx included which is just better and faster. We’re taking a mobile-led, digital approach to how we engage with customers where we can provide the ability to have more face-to-face time with customers. Q: Ittai, sales process automation sounds pretty straightforward. Is it? A: Ittai Bareket: I think our customers wish it was but there are a lot of moving parts. If I take just one, configure-price-quote (CPQ), as an example in most industries it’s pretty straightforward: If someone buys a toothbrush online, offer them toothpaste. That’s pretty simplistic data mining with some understanding based on big data and historical trends but in IT you can buy different capabilities for different outcomes for different reasons. Just because someone decided to buy a different firewall configuration or a switch doesn’t mean the next customer will. Therefore, the entire notion of recommendation engines is much more complex. The impact of artificial intelligence (AI) and big data are much more complex. There’s almost a level of logic that should be above that and this is part of the complexity in the industry that means the reliance on vendors is so high among enterprises. This explains why enterprises don’t go out and create IT solutions themselves and call in IT solutions providers instead. The industry has a lot of opportunities to automate solutions creation. Q: Stuart, how do automation and AI impact your ability to manage the sales process end-to-end and how are you using Netformx? A: Stuart Macintyre: In the environment we’re in, the rate of change in terms of partner portfolios and product requests is accelerating and we need to adapt more rapidly. Automation and AI help because they enable us to keep up. Everything is kept in the cloud so it’s updated and refreshed and greater agility sits underneath. We’re getting much better insights into what the customer environment looks like as AI grows stronger. The way we’ve adopted Netformx is to take a standard toolset that allows us to add some customization easily to our customers’ solutions. This gives us the flexibility and efficiency to drive better net promoter score (NPS) with our customers. We’re able to measure all of that and track what we’re doing here. We’re seeing the early benefits of that already. We see Netformx as one of the best of breed providers, we love their agility and innovation approach which comes out of being centered in the Silicon Valley and Israel. Q: Ittai, how do you see AI, big data and automation coming together for the benefit of your customers? 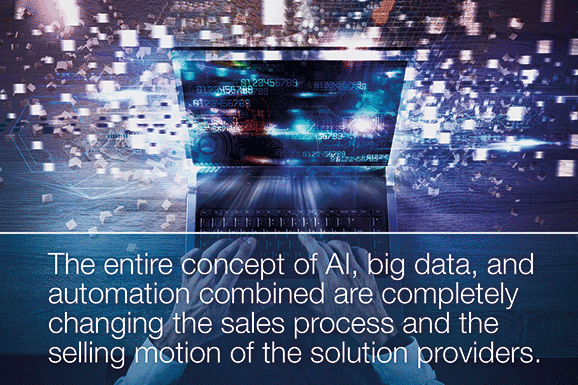 A: Ittai Bareket: The entire concept of AI, big data and automation combined are completely changing the sales process and the selling motion of the solutions providers. They’re completely changing businesses in terms of what they’re going to sell, how they’re going to sell and how they’re going to compensate their salesforces. There is a lot to do, not just now, but as they move forward to ensure the whole process is automated. If they don’t do this someone else will take their business.